It’s going on a full year since David Fincher was first linked to World War Z 2, which stemmed from Brad Pitt courting the decorated filmmaker as a potential replacement for Juan Antonio Bayona (Jurassic World: Fallen Kingdom), and now, thanks to Paramount chief Jim Gianopulos, we have firm confirmation that Fincher will helm the studio’s apocalyptic sequel. The Hollywood Reporter posted an extensive interview with Gianopulos, wherein topics ranged from his decision to part ways with Fox and the current challenges facing Paramount Pictures. But when the conversation veered toward the studio’s upcoming slate and, more specifically, World War Z 2, the executive not only reaffirmed that David Fincher will handle directorial duties, but also that the studio is now targeting a production start in early 2018. That would place World War Z 2 on course for a theatrical release sometime in 2019 – likely the crowded summer window, given Paramount had once reserved June 9th, 2017 for the blockbuster sequel before delaying production to accommodate the loss of Bayona – though it’s far too soon for the studio to commit to anything official. What we do know is that World War Z 2 will be the first time David Fincher has tackled a sequel since his infamous experience helming Alien 3 for 20th Century Fox. That was all the way back in ’92, when the filmmaker became embroiled in disputes over the script and a $50 million budget – not exactly the kind of memory one expects to forge while crafting their feature film debut. 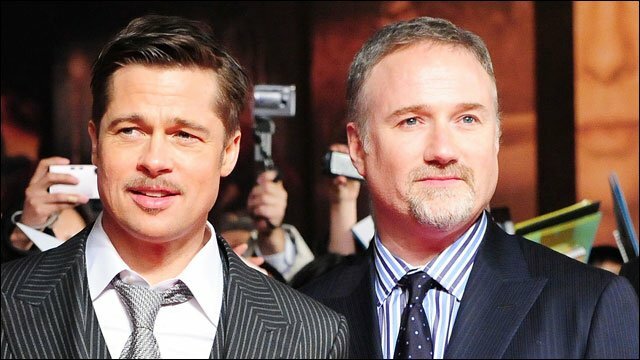 It’s a sorry saga that drove Fincher away from studio filmmaking, before the director bounced back in remarkable fashion with Seven three years later – a movie that would, incidentally, tee up an overly successful working relationship with Brad Pitt. Now, Fincher has come full circle to sign on for World War Z 2. Expect further details to begin trickling out before the year’s end, at which point Paramount will likely have a cast in tow before filming kicks off in 2018.